Saturday June 22, 2 to 10pm! Awesome LIVE bands, food, drinks & so much more! Kids 12 & under are FREE!! ​***Day of the festival ticket price is $15. Join us for a day of fun and celebration, on the Back Forty, for FARMER RUSS' 51st BIRTHDAY, MUSIC, FOOD TRUCKS, BEER & WINE, COOKING DEMONSTRATIONS, PIE EATING CONTESTS & much, much more! Buy your tickets NOW and save & Kids (12 & Under) get in FREE!! Your money spent, at this event, will be shared with the #PayItForward mission. Your dollars also help the farm buy plants, seeds and fuel for future crops. Thank you for continuing to support our family farm! 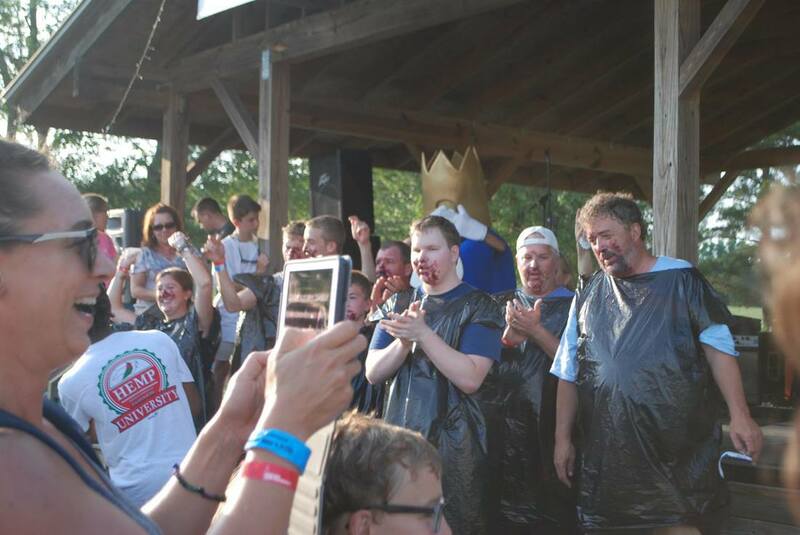 Blueberry Pie Eating contest: There will be adult and child (12 & under) categories. We will draw for names of those that want to enter. 10 lucky contestants in each category will get to "eat their hearts out"! Please visit http://www.vollmerfarm.com/vendor-form.html to become a vendor in this year's event! We want to especially thank these businesses for supporting the #PayItForward mission, Vollmer Farm & the 4th Annual Blueberry music Festival! We couldn't do it without you!!! 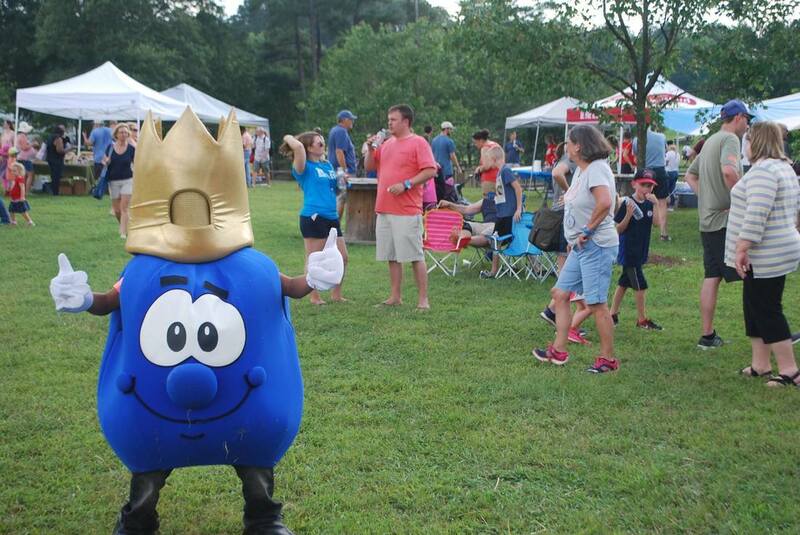 Not only will we be celebrating blueberries & music. This year marks a very important date...June 25th is also Farmer Russ' 52nd birthday! Let's make this a BIG celebration for his BIG day! Please join us to wish Russ the best! Please join us for this FANTASTIC annual event!! At 2pm we will allow cars to begin parking in the back adjacent to the event stage area. FREE parking for this event! FYI, the front of the farm will be closed on the day of the festival. Our Famous Back-40 Playground will be open! We usually only open the Back-40 in the fall, but for this event we want kids to have plenty of fun things to do too! Included with our ticket price is access to the: Great Pumpkin Jump (2500 sq. foot jumping pillow), Windmill Mountain Giant 100 ft. underground slide, Goat Walk, Rat Racer Barrels, 2 large playground areas & beautiful farm grounds to explore. Plus misting tents to keep you cool! ***Please note: Kayaking will require a $5 ticket purchase to participate in these activities! 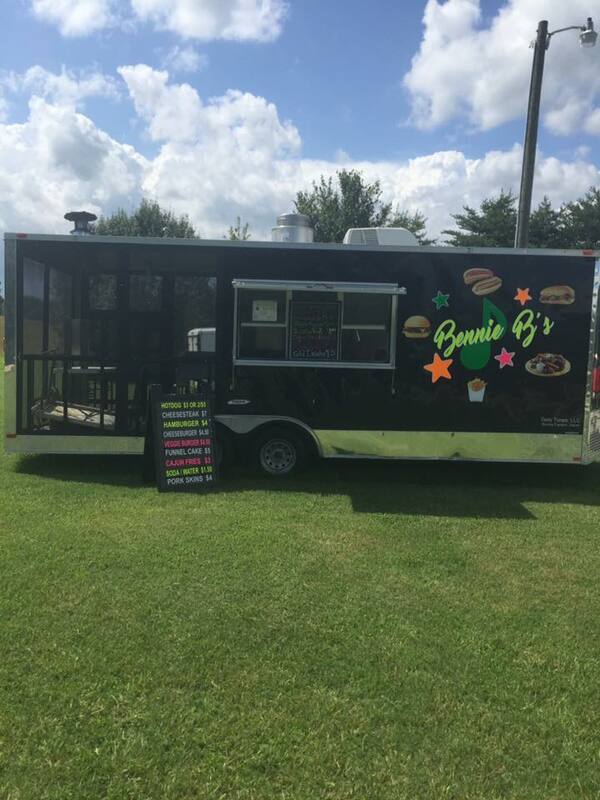 Food Trucks, Beer/Wine & More! Watermelon Slices, Homemade Vollmer Farm Ice Cream, Italian Ice, Blueberry Cider, Blueberry Lemonade and other delicious treats Served under the Vollmer Farm Food Tent! 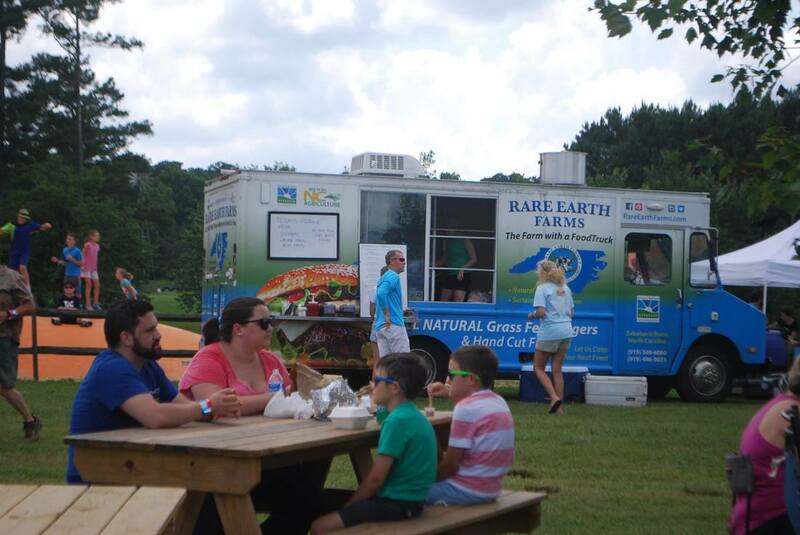 Rare Earth Farm Food Truck with juicy, all natural grass-fed Beef Burgers & more! 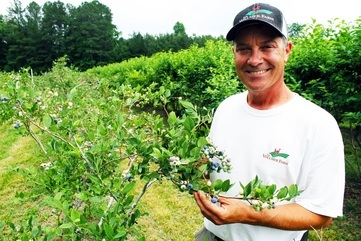 And of course, Vollmer Farm blueberries! *No outside food or beverage allowed onsite for this event. Gates open at 2:00pm. Please do NOT line up your cars before that time. 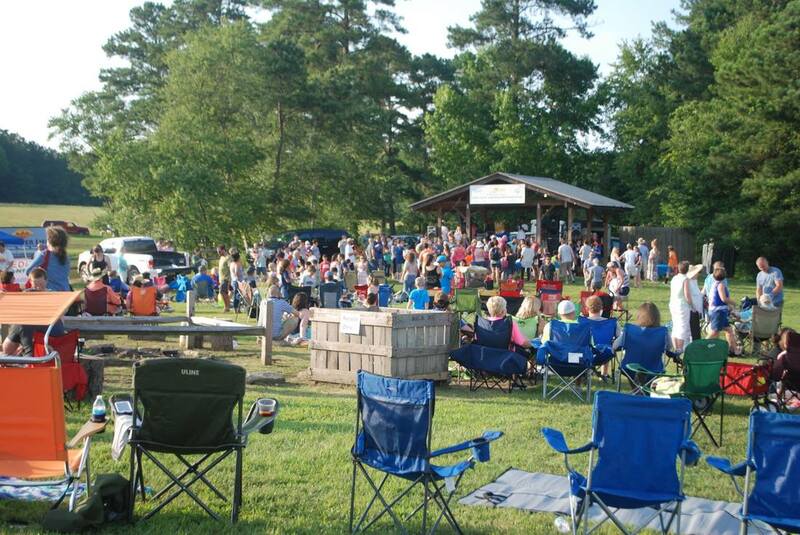 You can park in the front of the farm until time to enter the festival venue in the Back 40 area. FREE Parking available adjacent to festival site. Event is RAIN OR SHINE, so please check the weather. Bring your own tents & chairs. Wear/bring sunscreen, sunglasses & hats. No outside food/beverage allowed. We will have plenty onsite!